The sun is finally coming out, time to set sail! I don't know if I'm feeling nostalgic and old, but I've been going back to my old ways; my high school days. 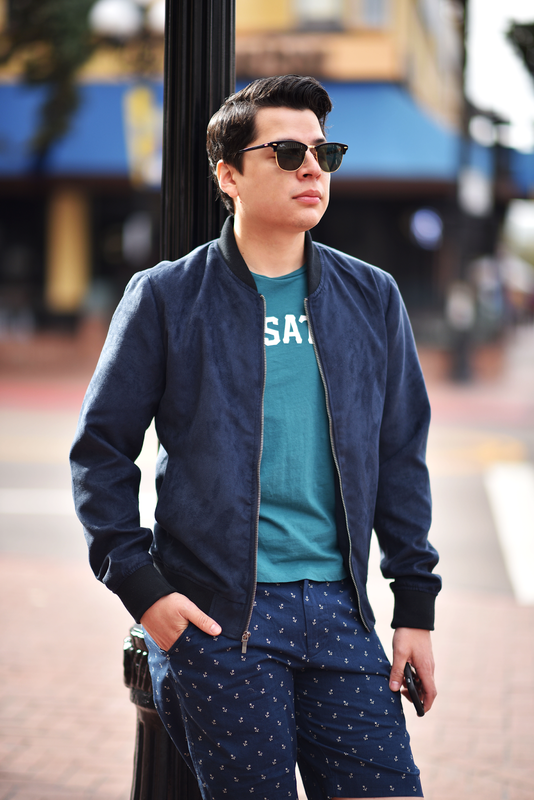 I've been listening to my 2006 playlist (thanks Apple Music), using my favorite tees that I used to wear back in high school, and I've been going back to my chill and laid-back ways of building an outfit around a pair of shorts. Whatever the case is; shorts are staying in my wardrobe! When it comes to shorts, J.Crew knows what's the deal! I live for anything nautical, and this pair will most likely be worn once a week once Spring hits San Diego. 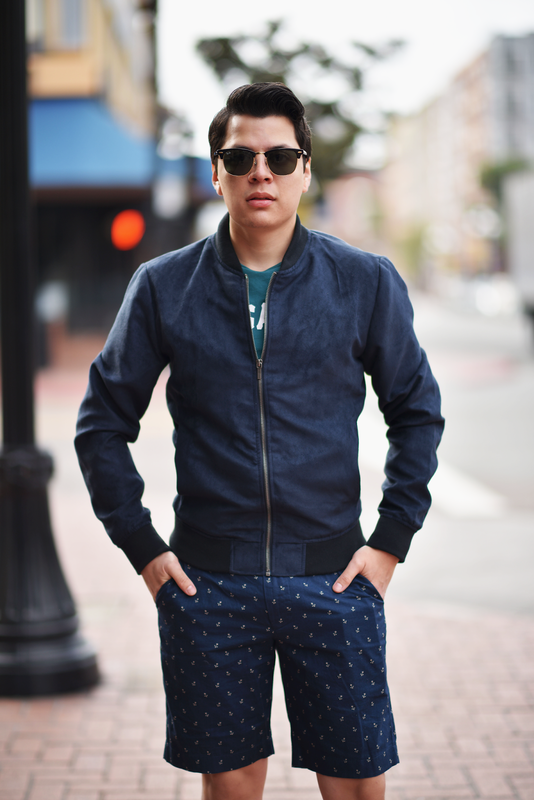 Never thought about pairing a bomber with shorts. I guess because the weather doesn't permit over here on the east coast. Enjoy the weather!